The Director of TLC Transitional Life Care, Julie Rogers, a long-time student of Ven. Gyatrul Rinpoche, leads these sessions. 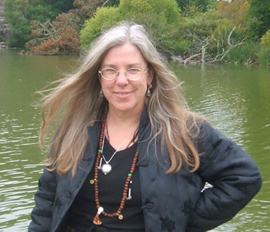 Julie facilitated a Troma study and practice group at Dechen Ling in Ashland, Oregon, for four years. She is authorized by Sangye Khandro and trained in chod with her as well as other esteemed lamas, and for many years served as the Troma omzed at Gyatrul Rinpoche’s center, Tashi Choling, in southern Oregon.